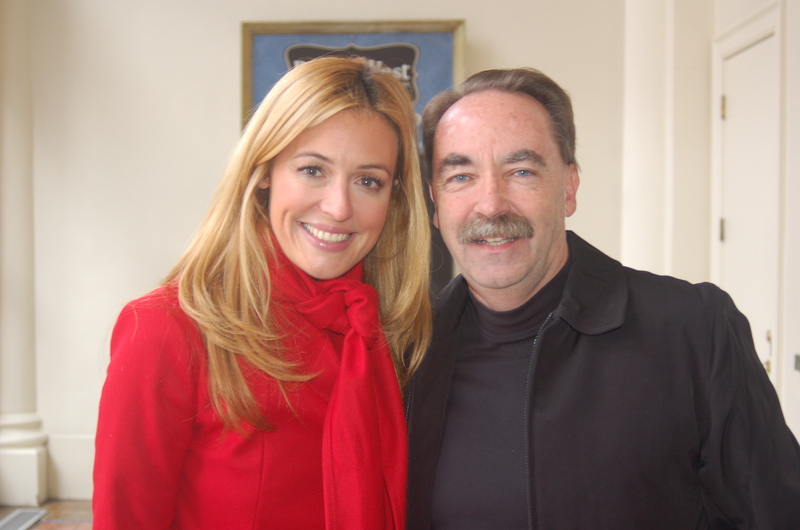 Take it from Cat Deeley—don’t believe everything you read on IMBd.com. The Internet “celebrity” info site isn’t always accurate, as she told me during an interview I conducted with her earlier this spring. For instance, according to the website, theLos Angeleshouse she lives in was once owned by Marilyn Monroe. Spending just a few minutes with the popular hostess of FOX’s hit reality series “So You Think You Can Dance” tells you that Deeley is just as nice, genuine and authentic in person as she is on TV. This is the 9th season for SYTYCD, and the 8th time that Deeley has served as hostess. While the production was in Salt Lake City for tryouts this year (the Salt Lake City auditions will air on June 13), Deeley, along with co-executive producer and judge Nigel Lythgoe (who created the series), and judges Mary Murphy and Adam Shankman, was gregarious and readily available to meet with the contestants and the media. It’s clear they all truly enjoy their jobs. During the interview, she posed a challenge—asking anyone to name 10 famous dancers. “It’s almost impossible for anyone not in that industry to do it, yet most everyone could name 10 famous actors, singers or athletes without a problem. Dancing is a lovely profession, and it’s infectious to be around,” she said. Catherine Elizabeth Deeley was born in Sutton Coldfield,Birmingham,England. When she was seven-years-old, she told her family she wanted to host TV shows. Those chances began to come her way in 1998 on a British show called “SM: TV live.” It featured guest magicians performing a number of illusions, and she was once sawed in half by magician David Copperfield. She continued honing her craft in theUKuntil 2005, when SYTYCD needed a new hostess to replace first-season hostess Lauren Sanchez. Immediately, Americans fell in love with Deeley and her British accent, particularly her trademark pronunciation of the word “judges” (no literary effort to write that pronunciation does it justice!) She also fell in love withAmerica(she spends the majority of her time inLos Angeles, though she does go back to theUKfrequently), and with the young dancers she shares the stage with each week. Though she is herself a bona fide star, Deeley defers a lot of the attention away from her and towards the dancers, and the judges. She says she pinches herself at times, not believing how her visibility has risen in the entertainment industry. This year’s show is limited to one night a week, something that Deeley, Lythgoe and everyone else on the team feels good about. You can catch SYTYCD on Wednesdays at 8 p.m. ET/PT, 7 p.m. CT/MT on FOX. ← What’s On and Beyond?